The number one rule of saving money on textbooks is to avoid buying them at your campus bookstore. This is the trap many students fall into, which causes them to spend more money than they expected. At the campus bookstore, your books will definitely be overpriced. Yes, it is super easy to simply walk into your college campus bookstore, find your required textbooks there, and buy them. But this will make your wallet very unhappy. Unfortunately, many students, especially freshmen, fall for this scheme and end up spending more money than they need to buy their textbooks. In fact, most college students do this, and that’s why they spend an outrageous amount of money on textbooks each semester. The good news is there are many other sources from which you can buy your textbooks that will be much cheaper than your campus bookstore. Let’s discuss where to find your textbooks, and how to get them for a lower price. If I don’t buy my textbooks from my campus bookstore, where can I buy them? As I mentioned, buying your textbooks from the campus bookstore is a bad idea, since it will cause you to spend much more money than you need to. But there are some places you can buy or rent your textbooks from. Yes, it will take a little bit of research and shopping around to find the best price for your book. But at the end of the day, when you save a lot of money, it will be worth it. I would recommend you look for your textbooks at online textbook vendors, your school’s library, and from fellow students. Let’s discuss these in further detail! There are many reputable online textbook vendors where you can order your books and have them shipped to you! In fact, more and more students are buying their textbooks from online textbook vendors because it’s convenient and saves them money. These online textbook vendors, like TextSurf, will not only help you find the book you need, but it will help you find it at the best price. TextSurf is special because it is also a price monitor. In other words, it compares prices from multiple vendors to show you the lowest price, which will ensure you are getting the most out of your money. How awesome is that? Another advantage of online textbook vendors is they might allow you to rent your textbook, rather than buy it. This will lower the cost of your book even more! We’ll discuss renting textbooks later on in this article. In short, online textbook vendors and price monitors like TextSurf are great ways to obtain your textbooks for a low price. Another way you can get your college textbooks is through fellow students in your major. Of course, there are older students in your major who have already taken a class and will no longer use their textbook. The good news is they might want to sell their books to a student who will use them (you!). This is a good strategy, because the buyer will spend less money on their textbook, while the seller can get rid of a textbook they no longer need. It’s a win-win situation! But how do you find a student who is selling a textbook you need? I would suggest you talk to the older students in your major and ask them if they know of anyone who is selling the textbook you need. You could also check on your school’s Facebook groups, or any student clubs/groups that are related to your major. Buying a textbook from an older student will save you lots of money as you shop around for your textbooks. The textbook you need might be sitting in your school’s library, where you can check it out for free! Your professor might even put it on reserve, which means there is a copy of it in the library available for their students to borrow for a few hours. This will save you lots of money because it is free! However, please use this method wisely, as there might be a problem if multiple students want to use the book at the same time. Imagine how many students would want to borrow that book the night before a test or during finals week! You might not want to spend precious time waiting for the textbook to be available in the library. Borrowing the book is great, but it means the book isn’t available to you at all times, so proceed with caution if you decide to use this method. Now that I’ve found my books, how can I get them for a lower price? You can use the sources I just mentioned (online vendors, fellow students, and your campus library) to find books. Now, let’s discuss how to find those books for a fraction of their full price. Sometimes, a textbook will be listed as “required” on your school’s website or on your class syllabus, but won’t be used all that often during the semester. In other words, just because a textbook is labeled “required”, doesn’t mean you actually need it to pass the class. Save yourself some money and trouble by asking your professor how often they will use the textbook, or if it’s okay if you buy an older edition (which costs less!). You might find out they don’t use the textbook very much, and decide to just borrow it from a friend or from the library when you need it (thus, saving you lots of money!). Don’t feel awkward emailing your professor with these questions. It’s a good idea to find out before the semester starts if you will actually need the textbook, this will save you from spending money on a textbook you don’t even need. A brand new book will always be more expensive than a used one (that’s why the books at the campus bookstore are so expensive! ), so buying a used book instead of a brand new one will save you a lot of money. Sure, some pages might be dog eared and there might be light writing on some pages, but if it will save you money, slight wear and tear is worth it. Just ensure the book is at least in good condition before you buy it. Think about it: do you really need a brand new textbook? Chances are, you can work just as well with a gently used book. If you can help it, buy a used textbook, not a new one. Similarly, you can save money on your textbooks if you rent them instead of buying them. By renting your textbooks, you can get rid of them once you don’t need them anymore. In other words, you will avoid building a collection of old textbooks you never open. You can rent textbooks from many online sources. 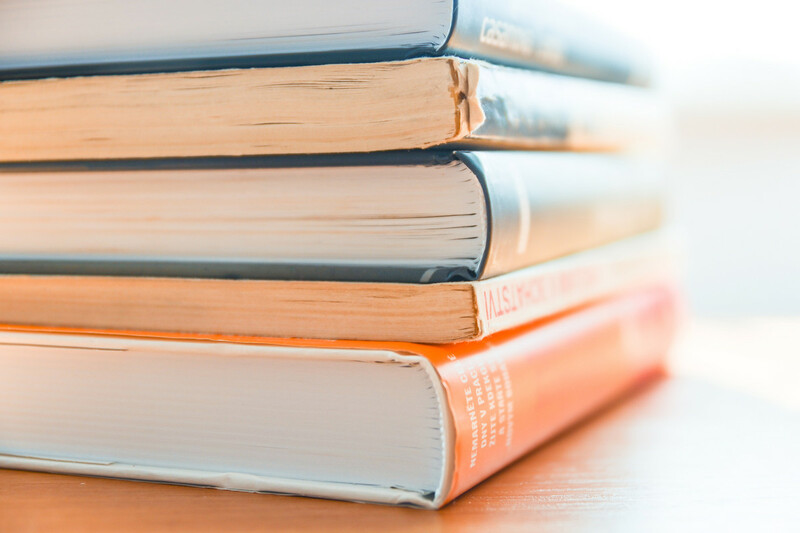 Your campus bookstore might even have a textbook rental program (not all campus bookstores do this, you’ll have to do your own research on this one). 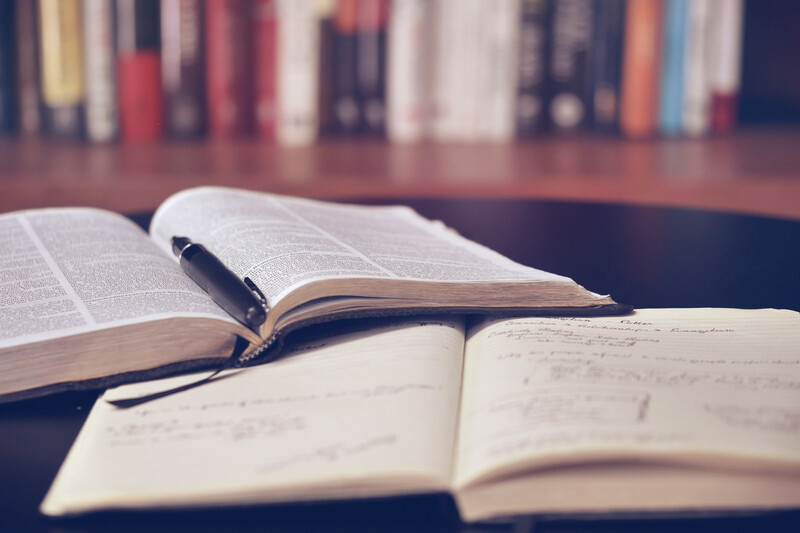 Chances are you won’t need to keep the textbook after the class finishes, and you don’t want to have a bunch of textbooks sitting in your bookshelf gathering dust. Renting your textbooks will not only save you money, but it will save you space, too! I will add one exception to this, though. I would recommend you keep the textbooks from your freshman year, since you might want to refer to them later on in your career. For example, I studied biology, and I regret not buying my freshman year biology textbooks because those books were full of useful background information about almost every field of biology. Later on in my career, I could easily refer back to these books if I need a refresher on a certain biological concept. In short, I would recommend renting all your textbooks except your freshman year textbooks, as your freshman year books have basic information you might want to refer to later on in your career. Nowadays, online textbooks are becoming more popular. They are often cheaper than physical textbooks, and you don’t need to wait for it to ship. As soon as you purchase your online textbook, you can view it! You can even rent an online textbook, which is often even cheaper than buying a physical textbook! Some people don’t like online textbooks because they would rather have a physical textbook, and that’s fine. But if you want to save money, you should definitely consider buying or renting an online textbook. This method is a bit risky, but a good way to save money on your textbooks is to share it with someone else. You pay half the cost, so you save money! However, then you only have access to the textbook half the time. If the other person has the book when you need it, or vice versa, things could get messy. But if you are willing to share the book to get it for a cheaper price, then consider splitting the cost of a textbook with someone else and share it. Remember how I said you can buy a textbook off of a fellow student? When you finish with the textbook, you can sell it to a fellow student in the same way! Of course, you will probably have to sell it for less than you bought it, but sometimes it’s worth getting even part of your money back. Sometimes, your campus bookstore will buy back books from you. Do some research on your campus bookstore to see if they offer buy back programs! Other times, you will have to use the methods I mentioned earlier to get your textbooks off your hands and into the hands of a student who needs it. Just like renting, selling a textbook once you are done with it will prevent you from collecting a bunch of textbooks you will never use again. Wouldn’t you rather give your textbook to a fellow student who will actually use it, and who will pay you for it in return? For these reasons, it’s smart to sell your textbooks once you are done with them. Unfortunately, college textbooks are expensive. If you are not careful, they could easily go over your budget. If you buy all your textbooks brand new from your campus library, you could end up spending thousands of dollars throughout your college career only on textbooks. To avoid this, consider obtaining your textbooks from an online vendor, your campus library, or from a fellow student. Also, consider renting your textbooks, using an electronic textbook, or splitting the cost of the book and sharing it with someone else. You could even sell your book once you are finished with it. If you use these tips, you will save tons of money on textbooks. Your college textbooks don’t have to break your wallet!